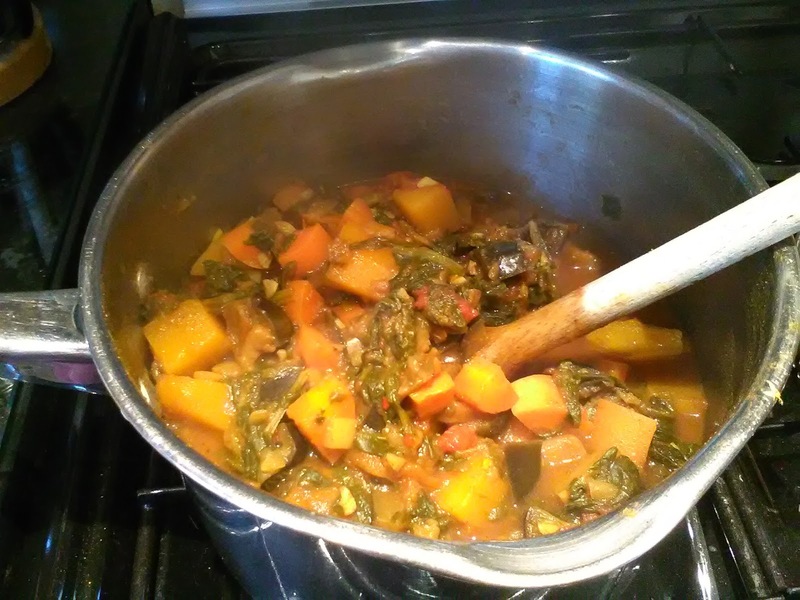 I've adapted my pork and aubergine curry to take account of what I had in the fridge, and I've replaced the potatoes in the original recipe with butternut squash (on cheap in Asda). Both recipes are inspired by Monroe's (or Jonaki's) Baba Gosht. Spray a large frying pan with frylight. Add onion, carrot and squash and fry until softened. Reduce heat and add spices. Add a splash of water, then add the chilli and garlic. Add the tomatoes and half a tin of water. Add the spinach. Bring it back to the boil for a minute, add the chunks of aubergine, cover and simmer for 20min or so until tender. Serve with fresh coriander if you have any in!